Isn’t that a very familiar feeling that we can identify with? ‘I studied so much but failed.’ ‘I worked so hard, yet have achieved nothing.’ ‘All my efforts seem to take me nowhere! Are you in a dire situation – discouraged and wondering what went wrong? Are you battling with something in life – a sinful habit, a taxing job, a worrisome child, divorce, broken family, debts, disease or anything else – and despite your strenuous efforts nothing positive seems to happen? Simon found himself in a similar situation; and whatever be our problem, we could do what he did, namely, to allow Jesus to get into our boat (our heart/life/problems) and take control. At times, there is the danger of giving in to self-reliance, self-pity and even complacency, saying, I am praying but still nothing seems to work. We have a beautiful lesson to learn from Simon. He was a fisherman by birth who knew so much about fishing and the lake of Gennesaret. Yet he humbled himself and listened to the words of a carpenter: ‘If you say so, I will let down the nets’ (Lk 5:5). No one could have found fault with him if he denied. He was exhausted; maybe he even found it difficult to believe this stranger rather than his instinct and experience. But whatever be the reality, he obeyed and gave it a try. We know what happened. His boat was no more empty, neither was his heart. Eventually, he would become ‘Cephas’ (Peter) – the rock on which Jesus would found His Church. 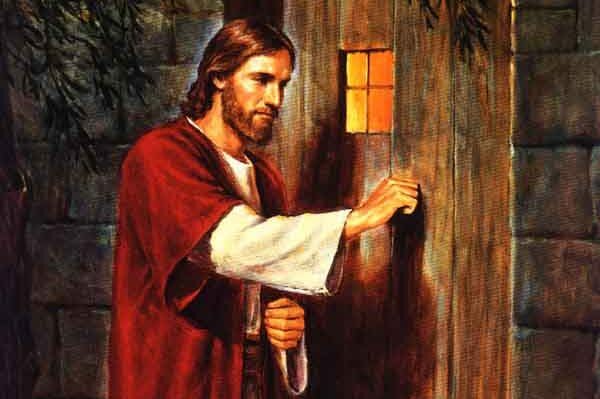 Wherever you are today, whatever be your problem, choose to invite and allow Jesus to enter into your life/problem/emptiness. May the experience of Simon be yours and mine today – here and now.